Mr. Boris Patkin holds a Bachelor of Science (Industrial Chemistry) with a number of industry qualifications. He worked for the Shell Group from 1973 – 1980 and subsequently operated his own businesses for many years in various industries, including textile, footwear, freight forwarding, property and independent living communities. He is presently an authorised representative at Morgan’s stockbroking division dealing in generic securities, margin lending and managed investments. Mr Wang holds a Bachelor of Computer Science from Shanghai University and a Master of Business Administration from the University of Technology Sydney. He is a Justice of the Peace with more than 15 years experience in the accounting profession in Australia. He is a Fellow Member of the Taxation Institute of Australia, a member of National Institute of Accountants and an affiliate member of the Financial Planner Association of Australia. Mr Eric Sam Yue was appointed a Director on 25 October 2017. He holds a Bachelor of Science in Economics and is a Chartered Accountant with international experience in both public accounting and commerce. He worked with Price Waterhouse in London, Europe and Africa from 1983 to 1992. 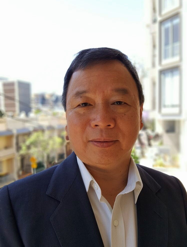 His financial management and corporate experience spans over 25 years in senior financial executive positions in shipping, mining and oil and gas companies in Australia and New Zealand. In 2016 he ceased to be chief financial officer of ASX listed New Guinea Energy Limited when its offices moved to Melbourne. He currently provides consulting services to various listed and unlisted entities. 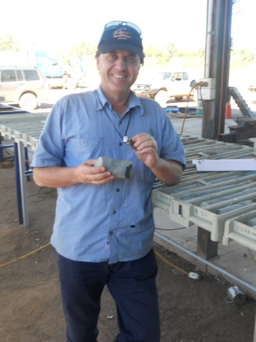 Mark is an exploration geologist with over 30 years’ experience working in a variety of geological environments across Australia with primary experience in gold and base metals. He has worked for Normandy Mining and Ashton Gold in senior geologist to exploration manager roles and in teams that discovered several multi-million-ounce gold deposits. 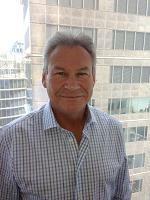 He was also Chief Operations Officer for Queensland Bauxite before setting up his consultancy Rock Tiger Exploration Services providing technical expert consultancy and managing the exploration activities of several ASX listed companies. He is presently a director of ActivEx Limited, an exploration company listed on ASX. He holds relevant qualifications required by ASX, JORC and VALMIN Codes in Australia to qualify as a Competent Person in reporting exploration results as defined in the JORC Code. He is a member of AIG (MAIG) and holds Registered Professional Geologist (RPGeo) accreditation. Over 30 years experience in petroleum refining and production, with extensive knowledge of petroleum products. 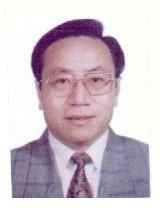 Previous plant manager of oil refinery in Wujiang Province, China. Senior engineer and director of Suzhou JiuTai Corporation. Current President of the Jiangsu Province Petroleum-Chemical Industry Association in China.